Thank you for visiting the internet home of the United States Ju-Jitsu Federation (USJJF), a 501 (c) 3 Non-Profit Corporation. We invite you to take some time to look around our site and learn more about the United States Ju-Jitsu Federation and how it has become one of the largest and fastest growing Jujutsu / Ju-Jitsu / Jiu-Jitsu / Para Jiu-Jitsu organizations in the United States. This website is intended as your source for information on the art of Jujutsu / Ju-Jitsu / Jiu-Jitsu / Para Jiu-Jitsu and the USJJF. Please take a moment to read our President's Letter "Share the Tradition" and our Frequently Asked Questions. 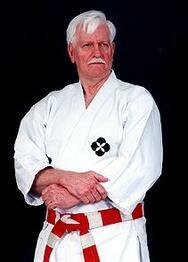 United States Ju-Jitsu Federation (USJJF) ® was established in 1971. Over the past 48 plus years, USJJF has provided multiple national training and certification programs for traditional focused jujitsuka as well as competition training & events at the state, regional, national and international level for sport focused Jujutsu / Jiu-jitsu / Ju-Jitsu / Para Jiu-Jitsu competitor. United States Ju-Jitsu Federation (USJJF) ® is the National Member & USA National Governing Body for Ju-Jitsu with Panamerican Jiu-Jitsu Federation (PJJF), World Ju-Jitsu Federation (WJJF). USJJF is an All-Inclusive National Organization for All Styles or Systems of the Ancient "JJ" Art. USJJF is a Non-Profit 501 (c) (3) Organization. USJJF is the USA Ju-Jitsu / Jiu-Jitsu National Member of The Association For International Sport For All (TAFISA) which is recognized by the International Olympic Committee (IOC). The USJJF is more than a National Governing Body, USJJF is working in cooperation with many systems and styles of the Ancient "JJ" Art (in its many spellings) with the primary focus of preserving the Art of Jujutsu / Ju-Jitsu / Jiu-Jitsu / Para Jiu-Jitsu and encouraging mutual cooperation and respect. Traditional and Sport Minded Persons alike are Welcome to Unite under the USJJF Banner to ensure that Ju-Jitsu remains strong and focused as an art of self-defense and self-improvement. The Mission of the United States Ju-Jitsu Federation (USJJF) ® is to unify American Jujutsuka / Ju-Jitsuka / Jiu-Jitsuka with a foundation of mutual respect for all styles or systems of Jujutsu / Ju-Jitsu / Jiu-Jitsu / Para Jiu-Jitsu and to provide services and guidance to foster Technical Excellence, Fellowship and Human Character Development. As the USA National Governing Body for Jujutsu / Ju-Jitsu / Jiu-Jitsu, USJJF​ ® selects, prepares and sends the Official USA TEAMS to Continental, International & World Level Competitions. United States Ju-Jitsu Federation (USJJF) ® is a world-class organization comprised of highly skilled and dedicated Jujutsuka / Ju-Jitsuka / Jiu-Jitsuka / Para Jiu-Jitsu rich in tradition of excellence. We will provide our members unparalleled opportunities for personal growth, development and pride. We will always strive to exceed the expectations of our members, the Panamerican Jiu-Jitsu Federation, World Ju-Jitsu Federation and the Martial Arts Community. United States Ju-Jitsu Federation (USJJF) ® is committed to effective communication and continuous improvement to foster technical excellence, an environment of trust & teamwork which promotes personal & organizational growth and the achievement of clearly prioritized goals.